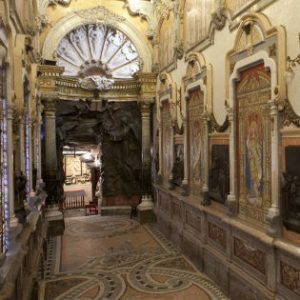 Interestingly, the important turning-points or highlights of Ignatius’ spiritual journey are almost all identified by him with the places at which they occurred. ‘incarnational” dimension to his spiritual heritage. After his vigil at Montserrat, Iñigo intended to spend just a few days at the nearby town of Manresa, reflecting on his experience. But, almost a year passed before he had gained the spiritual strength and freedom to move on to the next stage of his journey. Much later, he would look back on the time at Manresa as an extraordinarily rich period of his own spiritual growth, and more. Through reflection on his own experience, Iñigo came to realise that there is a broad universality in the way God draws people into lifelong companionship with Jesus. He began to sense that God was leading him to become an instrument for helping others to discern how God works in their own lives and thereby to guide them to seek similar deep and lasting graces. It was during this long and profound “retreat” that the Spiritual Exercises began to take shape, first as journal notes and ultimately (though much later) in the form we know them today. They became the means by which he and his companions could fulfil their basic goal of helping others to find God in their own inner experience and ultimately in all people and things. 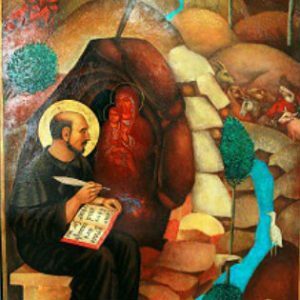 At the heart of Ignatius’ faith journey, and hence of the Spiritual Exercises, is the Christian disciple’s personal relationship with Jesus. While Ignatius had practised his Catholic faith since birth, it was only at Manresa that he became vividly aware of the truth and richness of this relationship, and the potential for an ever deeper intimacy with the risen Lord. Ignatius’ conviction that such a grace was intended by God for every individual person became the basic motivation for the central place given by him, and eventually by his followers, to giving the Spiritual Exercises. As we shall see, the person, life, and mission of Jesus becomes increasingly the key theme of the Exercises and the heart of the religious order he founded, the Society (or Company) of Jesus. It is a mark of the depth of this relationship that it began to break through the limits of what we might call ‘ordinary’ human experience. This is how he himself describes what happened. “Often and for a long time, while at prayer, he saw with interior eyes the humanity of Christ. The form that appeared to him was like a white body, neither very large nor very small, but he did not see the members distinctly. In a somewhat different way Ignatius also “saw” other religious truths, including the Trinity. He himself describes these occasions as moments of enlightenment, whereby he saw with ‘the eyes of his understanding’. There were many such occasions. Here we mention three of the most significant. While still at Manresa in 1522, he was sitting on the monastery steps saying the Office one day when he “saw” the Trinity in the form of a musical chord, three distinct notes which when played together produced a perfect harmony. For Ignatius, who already had a keen sense of devotion to the Trinity, this was an insight which would last forever and which has been described as the experience which marked the end of his dark night of the soul (Hugo Rahner, Spirituality of St Ignatius Loyola, p.50). 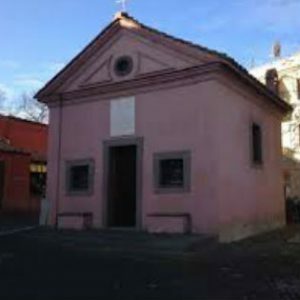 Many years later (in 1537), on his journey from Vicenza to Rome, Ignatius “was visited very specially by God” at the little chapel of La Storta, a few miles outside Rome. Ignatius came to recognise that these peak experiences were intended not only for his personal consolation but as an affirmation by God of the direction he and his companions were taking and were to take in the future. This sense of living and working consciously in the presence of the indwelling Trinity was to remain with Ignatius for the rest of his life. 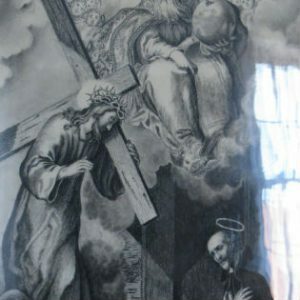 His Spiritual Diary, written in 1544-1555 while he was General of the order in Rome, reveals a man whose inner life was imbued with this sense of the immediate presence of the Trinitarian God.